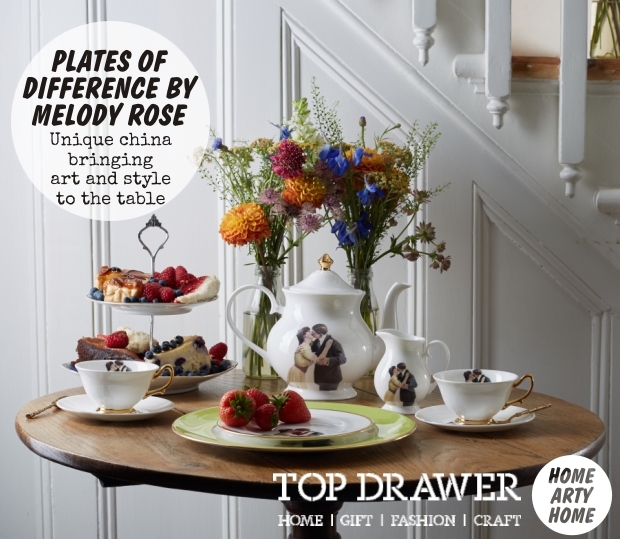 Welcome to Home Arty Home if you’re joining me from the Top Drawer blog. 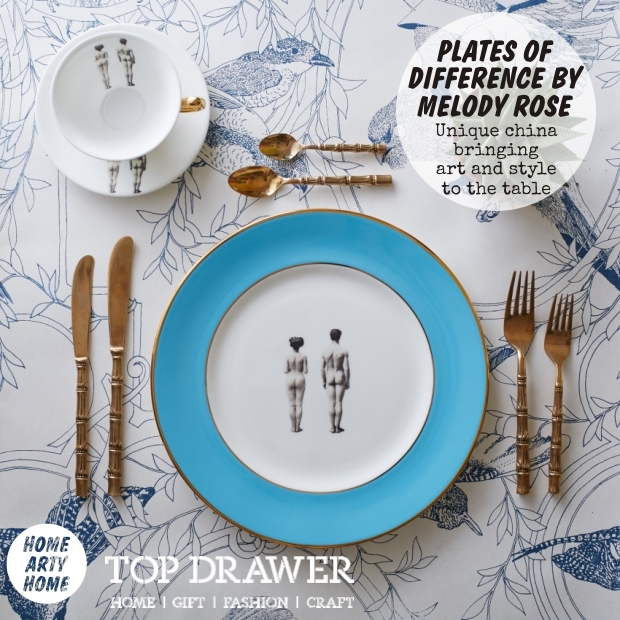 We’ve collaborated to bring you an interview with a Top Drawer exhibitor from September who caught Home Arty Home’s eye. 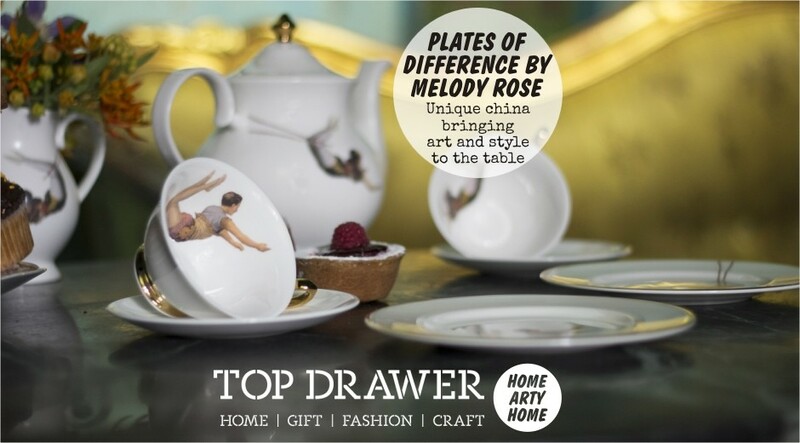 In fact, Melody Rose caught my eye ahead of the exhibition thanks to the Top Drawer PR team who, it seems, have spookily got my tastes down to a tee. Or should that be tea? 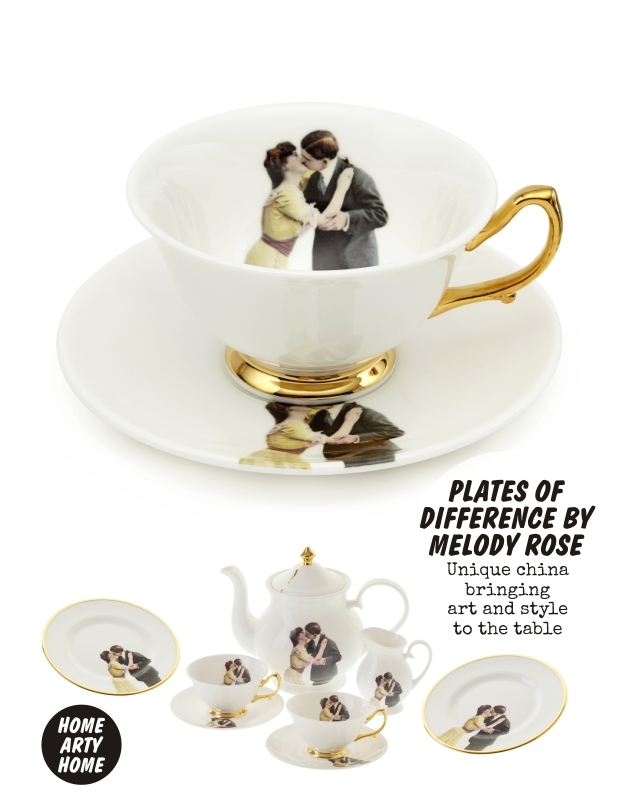 You’ll understand when you take a look at the stunning tea set by Melody Rose that would transform any afternoon tea into a glamourous occasion. 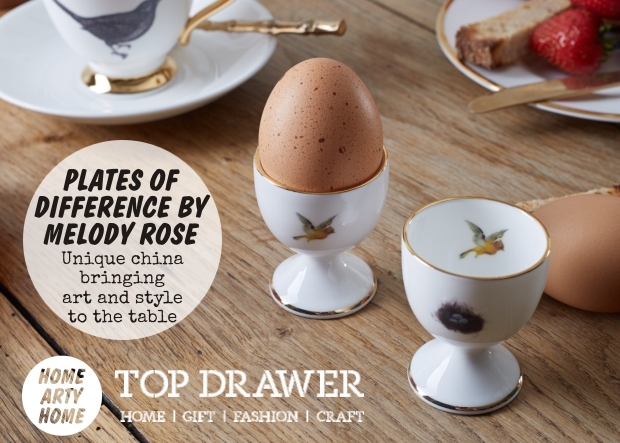 The minute I laid eyes on Melody Rose’s collection, I was hooked. 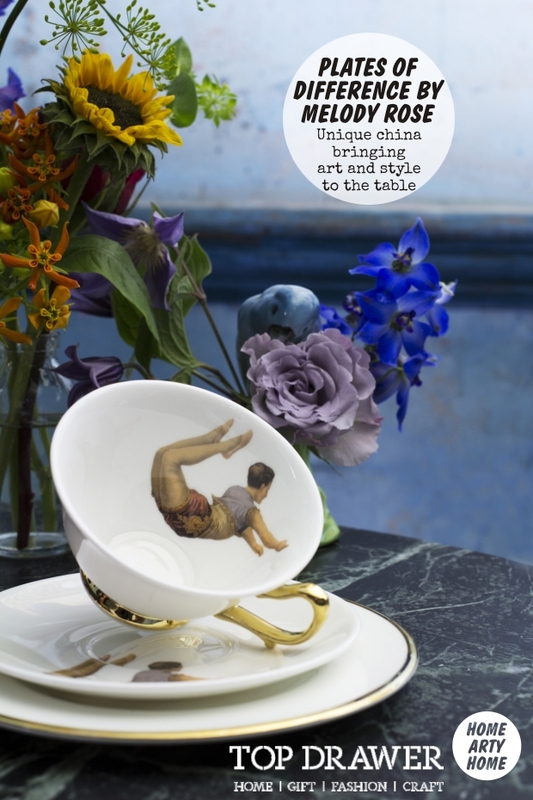 The range of fine china brings a quirky sense of fun to the table all whilst remaining totally stylish. 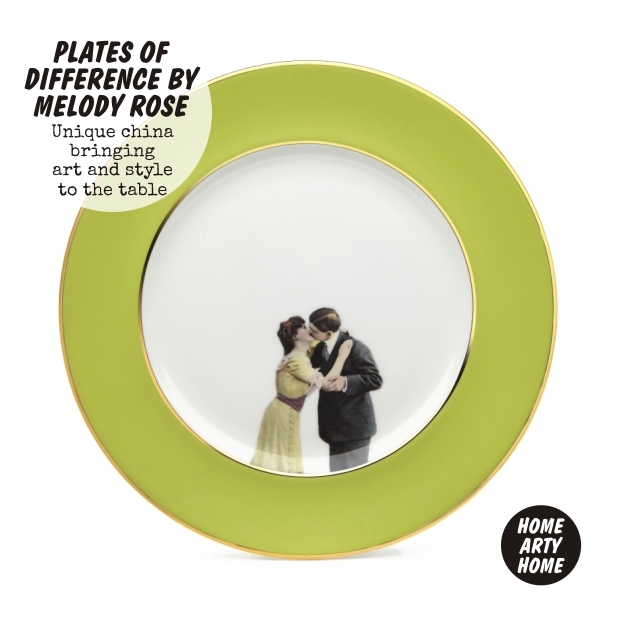 Visit Melody Rose to see the full collection. 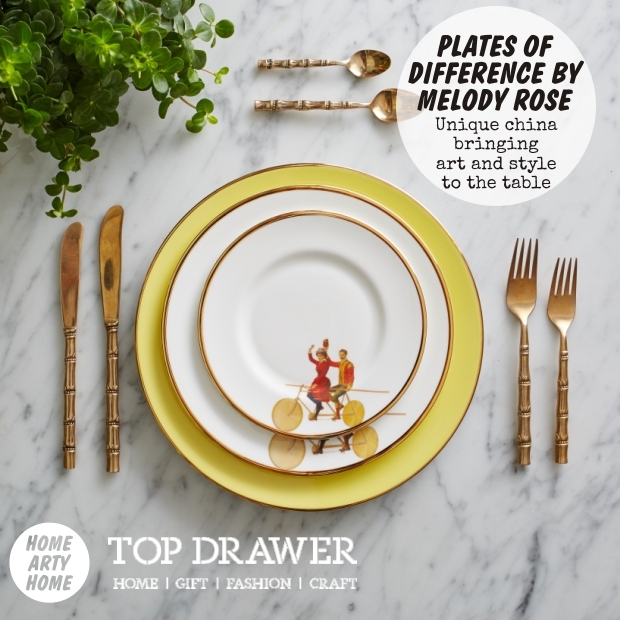 Posted in collaboration with Top Drawer – all views Home Arty Home’s own.